Gramercy Research Group is staffed by a team of experienced professionals and supported by a formal Scientific Advisory Committee made up of five senior-level researchers with previous federal and private grant funding, a five-member Community Advisory Board, a pool of seasoned consultants in a variety of areas, and relationships with faculty at numerous academic and government institutions in 15 states. Gramercy Research Group also has existing relationships with community- and faith-based organizations and community members in communities in 29 states. In addition to her leadership role, Melicia is also principal investigator at Gramercy Research Group. She is responsible for developing a program of externally funded research to advance Gramercy’s mission. 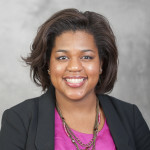 Her research interests include the role of physical activity in obesity prevention and control among racial and ethnic minority groups; physical activity behavior change programs among racial and ethnic minority groups; physical activity assessment; community-based participatory research; faith-based health promotion; and minority health and health disparities. Melicia’s academic credentials are lengthy. 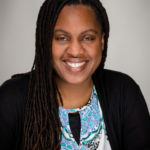 She earned a doctorate degree in public health/epidemiology from the University of South Carolina, and completed a postdoctoral fellowship at the University of Pennsylvania. She received a Master of Arts and Bachelor of Arts in physical education, exercise and sports science from the UNC-Chapel Hill. She is a Fellow of the American College of Sports Medicine. Before founding Gramercy Research Group, Melicia served as executive director the Wake Forest University School of Medicine Collaborative to Strengthen Families and Neighborhoods; as director of outreach for the Maya Angelou Center for Research and Minority Health at Wake Forest University Baptist Medical Center; and as an assistant professor of epidemiology and prevention at Wake Forest University School of Medicine, all in Winston-Salem, N.C. She also worked as an instructor at the University of Pennsylvania School of Medicine. Melicia’s personal and professional goal is for the research done at Gramercy to make a difference in improving people’s lives. She also is open to suggestions from community groups on suggestions about improving the health and wellness of their members. 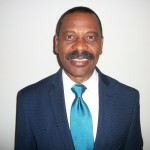 Mr. Aiken is a Group Facilitator for the Active & Healthy Brotherhood study. My current research interest is in using physical activity in the prevention of pediatric obesity, particularly the utilization of community family-based physical activity interventions to reduce early onset cardiovascular disease risk factors (obesity and type 2 diabetes mellitus) in ethnic-minority children. My research agenda also includes examining: 1) physical activity policy-based intervention in preschool-age children; 2) environmental and media influence on various health behaviors in ethnic-minority populations, and 3) after-school family-based intervention to improve physiological (obesity and diabetes risk) and psychosocial, and academic performance of minority pre-adolescents. 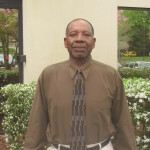 Alvin Borders is a Group Facilitator for the Active & Healthy Brotherhood project. Mahesh Chhabria provides computer and data processing support for Gramercy Research Group. In his role, Mr. Chhabria handles network wiring, server configuration and installation, software maintenance and installation, network security, database development and management, and workstation support. He holds a Bachelors of Commerce Degree from Mumbai University, India. Dr. Hayley Figueroa is a graduate of the Doctor of Public Health program at the CUNY School of Public Health in New York City, where she earned a DrPH with a dual concentration in food studies and community, society, and health. She was previously an assistant professor with Metropolitan College of New York School for Business and an adjunct assistant professor at Brooklyn College, where she taught a variety of courses in healthcare management, emergency and disaster management, and health and nutrition sciences. A public health practitioner and consultant with more than 20 years of professional experience, Dr. Figueroa has worked in government agencies, community-based organizations, and health care facilities, where she developed and managed projects to expand primary care in New York City and improve health outcomes for women, immigrants, people living with HIV/AIDS, and HIV-positive inmates transitioning from city jails into the community. Dr. Figueroa’s primary research interests focus on health disparities, women’s health, and food and nutrition. 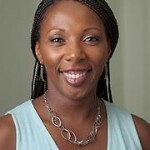 Yashonda received a Bachelor of Science degree in Health and Exercise Science from Wake Forest University. After taking some time off to work in the health care field in a variety of settings, she returned to school and received her Master of Public Health degree, with a concentration in Community Health Education, from The University of North Carolina at Greensboro. 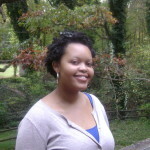 During her time at UNCG, she worked as a research assistant for an HIV prevention study for adolescent girls. Her areas of interest include chronic disease management and prevention, especially in regards to diabetes, and health disparities. 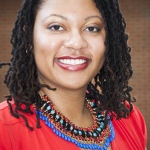 Amanda is an Assistant Professor of Exercise Physiology at Winston-Salem State University and has joined Gramercy Research Group as an Affiliated Research Scientist. 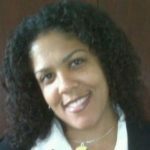 She is a North Carolina native who attended the University of Miami in Coral Gables, FL for all of her education, going straight from her undergraduate degree (Bachelor of Science in Education: Exercise Physiology) to her doctoral studies (Doctor of Philosophy: Exercise Physiology with a concentration in Statistics). Her academic career is centered on the prevention and treatment of obesity and its related diseases, with a focus on eliminating health disparities. She is especially passionate about developing and contributing to programs that teach those in the period of emerging adulthood (18-35 years old) realistic and sustainable ways to maintain a healthy weight and adopt healthy lifestyles. In her free time, she enjoys swimming, cycling and competing in triathlons. When she isn’t training, you can find her watching college sports, shopping, or playing with her cocker spaniel, Dr. Pepper. I worked 23 years in the Pharmaceutical industry as a Sales Representative, National Account Manager, Managed Care Executive and Government Affairs Executive for Abbott Laboratory, headquartered in Chicago, Illinois. As a Managed Care Executive I interfaced with The Pharmacy & Medical Director of Major HMOs to assure product formulary coverage & Disease Management in the clinical areas of Thyroid Disease, Cardiovascular, Obesity, Hypercholesterolemia and Mental Illness. As a Government Affairs Executive I collaborated with Key decision-makers at the Dept. of Medicaid, Department of Health & Human Services & National Association of Mental Illness (NAMI) to help address the issue of Cardiovascular Disease, Obesity, and Hypercholesterolemia, Aids & Mental Illness via proposed Pharmaceutical intervention and provision of patient centered resources provided to physicians as an adjunct to clinical intervention. Prior to working in the Pharmaceutical industry I was a H.S. 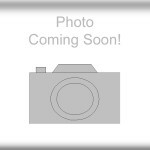 Health & Physical Education teacher, Football & Wrestling Coach in Lynchburg, Virginia. Barbara provides support with human resources and organizational development at Gramercy Research Group. Her responsibilities include recruitment, selection, employee relations and policies and legal compliance. She has more than 10 years of experience in working with for-profit and not-for-profit organization to provide human resource and organizational development services. She is also a former vice president of human resources for Krispy Kreme Doughnuts. 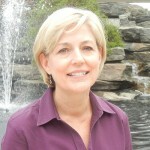 Barbara holds a Bachelor of Science in education from Campbell University. Ethel handles accounting and other financial matters for Gramercy. 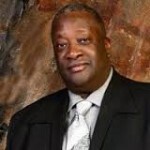 She served as finance manager at Friendship Missionary Baptist Church in Winston-Salem for 25 years. She is also a small business owner. As part of the Gramercy team, Ethel enjoys learning how to help educate adults and children about health issues. She attended Fayetteville State University and is completing a Bachelor of Science in accounting at Winston-Salem State University. Tiffany is a graduate of Winston-Salem State University, where she obtained a Bachelor of Science in Clinical Laboratory Science. She holds certification by the American Society for Clinical Pathology as a Medical Laboratory Scientist. She attended the University of North Carolina at Chapel Hill, and graduated with a Master of Public Health (concentration: health behavior). She has been involved with numerous projects and organizations relative to health care and public health including volunteering at a local clinic and mobile clinic and serving as a volunteer health educator for middle school girls. 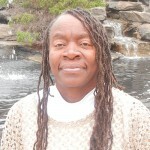 Her interests are in community-based approaches to health, especially community gardening and healthy eating.